The late Rabbi Haim Shvili, a Jewish mystic born in the early 1900s, made many predictions about the messianic era in his book, Heshbonot Hageula (Reckonings of Redemption), which he wrote in 1935. Some of the predictions in this obscure and largely unknown text were shockingly accurate, stating specific dates and names. His final terrifying vision, that of a Russian-led coalition as the prophesied Gog, is unfolding on the front pages of newspapers today. Of course, Rabbi Shvili did what the newspapers can’t: he predicted precisely how it would end. While Shvili did not predict how long the war would continue, he wrote that this conflict marked the beginning of the messianic process. Shvili believed that after the war Jerusalem would reign supreme and the city would become a center of tourism, pilgrimage and Jewish religious learning – a prophecy that has fully come to fruition. 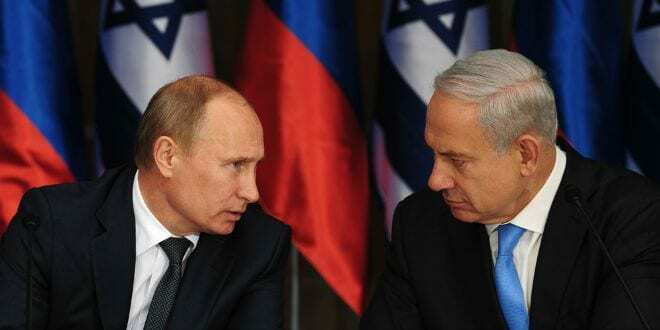 Nonetheless, Shvili specified Russia as being the military leader of a coalition during the messianic wars by explaining the the verse in Ezekiel 38:2, which reads, “Son of man, set your face toward Gog of the land of Magog, the prince of Rosh, Meshech and Tubal”. Shvili interpreted the word “Rosh” through Kabbalistic techniques to mean Russia. He used the same techniques to interpret the words “Meshech” and “Tubal” to be the Balkan states, which are ruled by Russia. Shvili emphasized that Gog is referred to as the “land of the North”, and Russia is the northernmost country in Europe. He pointed out that the return of the Jews from the north, as prophesied in Isaiah and Jeremiah, will be an enormous miracle. In fact, for a long period of time, the Soviet Union did not allow Jews to emigrate to Israel. In the late 1980s and 90s, around the time when Shvili predicted the messianic period would begin, in an entirely unexpected move, Mikhail Gorbachev opened the borders, allowing Jews to emigrate. More than 1.6 million Jews left, and almost one million came to Israel in what most thought an unlikely, perhaps even miraculous, occurrence. Shvili predicted that the Russian-led coalition would be opposed by its corresponding counterpart, made up of an army composed of soldiers from all 70 nations. There have already been confrontations with international implications, such as Turkey shooting down a Russian fighter jet, Britain authorizing its air force to shoot down aggressive Russian jets, and face-offs between Russian and Israeli jets. As alliances continue to form, it is becoming clear that the present conflict in Syria will bring many countries into the fray, just as Shvili described. Shvili also noted that the War of Gog and Magog would begin in the Hebrew month of Tishrei, which this year began five weeks ago with the holiday of Rosh Hashana, and ended October 12. On September 30th of this year, the 29th of Tishrei, Russia began formal military intervention in Syria, which conforms perfectly with his predictions. Many people, even those uninclined to Biblical prophecy, are realizing that we live in precarious and unusual times with strong parallels to the messianic process. Though this prospect might be frightening, by witnessing the predictions that have become reality and accepting them as part of a process that has been described, it is possible to take comfort in the end that has been assured. Shvili concludes that after the war of Gog and Magog, the prophecy of world peace, of “beating swords into plowshares” (Isaiah 2:4) will come into effect, centered around Jerusalem as the pinnacle of peace and holiness.